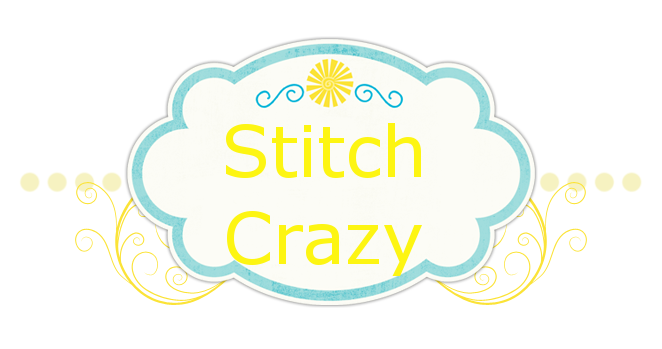 I keep posting on the *other* page, so it never looks like I'm posting, and I didn't want it to look like I'm ignoring my blog and even though I wanted all stitchy on this page...oh well. It's been a VERY turbulent week (more in the # of days than in the start as of Monday). My ear has been keeping me from stitching. I did attempt to stitch last night but alas, I noticed looking back and forth between the hoop and the pattern as I counted made my head swimmy and as I worked my way up one side of spongebob's arm I had made a counting error on the other side and had to frog it all. So stitching is just going to have to wait a little longer. Friday is payday and I am going to get some meclizine and between that, antibiotics and sudafed, hopefully I can get this meneire's under control. There must still be fluid from the infection even if I don't feel it or any pain. ANNYYYWWWAYYYSSS, the "week" culminated with Ty going alone to JO Wyatt this morning to start the application process after pushing and pushing and pushing me all week to try and get me to break to go with him. I'm proud to say I didn't go with him, but I do feel like I broke in a way, inside. I'm going to go ahead and go back in counseling for a little while as we go through this hell ride, nightmare, torture, turbulence with Tyler. So I was checking email after this horrid, horrid day and was talking kittens with Cheryl over at Acorn to Oak and of course I had to go look up our kittens old site where I had posted about them when they were so teeny tiny for family to keep up with. And when to grab the site addy, of course I got caught up looking back. Oh they were so so tiny. At one point I was showing James a video and we were awwwing over their little sounds and I had the volume turned up and oh Lordie, Tas and Cashew went nuts looking for their babies. You see, they were Lil' Mamma and Big Mamma to the kitties. They took over "stimulation" duty for us, kept a very close eye on them, alerted us to any problems and watched over them very closely. And when they heard those little sounds coming from my laptop, they just could not figure out where their babies were. It drove them nuts. And it was just too precious. I grinned so big looking at all the pictures and looking at the videos. It helps to that when James got home he had let me cry on his shoulder and really talk, just talk and talk it out. I love that man so much. He can drive me so crazy sometimes. We are so opposite in so many ways that we can really drive each other up the wall. But I love that man. And he has my back hands down. And I have his. So I am very, very glad that I got to end this day with such huge smiles on my face, laughing at the dogs and loving my hubby so much. I wanted to include a pic of the kitties and oh, maybe the furs, but I couldn't find my camera. So tomorrow when James isn't using his tablet, I'll borrow it (again) to take a pic of them and post it. I know, the tablet doesn't take the best pics, but it'll do. Oh, and thankfully on the kitties blog, I have the date of when they came to us, and wow, they turned 9 months old this week. Tas (brown), Dolly and there is Mr. Gambit in the left upper corner. Tas looks like she has not front legs the way she is laying! And I guess the pic of The Angel, The Princess and The Cash got deleted, so we will have to make due with this rather blurred picture of Ms. Cashew. She was posing so pretty, till I looked at her. So sorry you had to rip out some of Sponge Bob. I hope you feel better soon so you can get back to stitching. How cute that the animals were responding to the meows on the laptop! Hope you're feeling better by now. Love all the pics of your fur babies, they must keep you busy!